The other day, I have posted on an entry on my blog showing how to embed videos on your websites using simple IFrame technique. 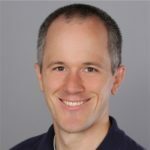 The next thing I wanted to do is to build an ASP.NET Server Control to show how easy it is to integrate rich content into ASPX pages – but Mike Harsh beat me to it. See his post about the WPF/E ASP.NET Server Control to see what I mean. It’s got pretty good set of configurable properties that you can tweak. Give it a try!